It goes without saying that Roombas are the best robot cleaners in existence. Everyone will tell you that if you want a revolutionary vacuum cleaner for hard floors, hardwood floors, carpets and pet hair go for the Roomba. Unfortunately, no one tells you exactly which one is best for what. 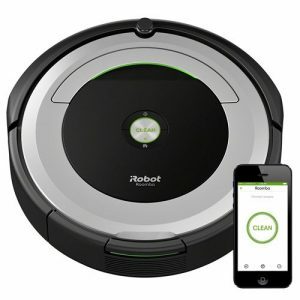 For this reason, we have compared the best iRobot robot vacuum cleaners in the market clearly highlighting where it performs best, the pros of each and also the cons. So, without further ado, let’s get down to business. Roombas are the most expensive robot vacuums on the market, but still, you can find some cheaper options. If you are on a really tight budget, I recommend the Roomba 614. This is a really old model that went out of stock for quite a while, but years later, it has resurfaced, and you can now get it from $300 only. But the big question is, will it satisfy your cleaning needs? Let find out. While the Roomba 614 may be looked down upon as just any other robot vacuum, it boasts some really awesome features. The first thing I like about it is the versatility and raw power. It does a great job on hardwood, hard floors and light pile carpets. Regarding air filtration, it is not the best, but for the budget, I can’t complain much. Unfortunately, the Roomba 614 has a long way to go, and as I told you, this is a very old Roomba. First, it lacks the basic Schedule function, so cleaning is manual. Worse is the fact that it doesn’t have Wi-Fi, so you have to be there for it to clean. To cut a long story short, this is a very basic Roomba, maybe for college students or a gift for teens whose rooms are ever dirty. The Roomba 650 is among the most popular models in the market. I would say this is because of two reasons; it is cheap and has been around for quite some time. Personally, I have used it for over a year, and I must say that its performance is impressive. It delivers quite some stellar performance just like some of the top vacuum cleaners in the 700 and 800 series only that it misses out when it comes to Smart connectivity. One thing I like about this robot cleaner is its affordability and reliable raw power. It offers excellent cleaning on all floor types; tile, hardwood, vinyl and even carpet floors. Besides this, it cleans pet hair and pet messes like kitty litter. It also comes with several unique features including Dirt Detect and Edge sweeping, features you won’t find in the old 400 and 500 series models. For those with multi rooms, don’t worry, at least it comes with 1 Virtual Wall barrier. When it comes to price, it averages $385 with the lowest price being around $274. 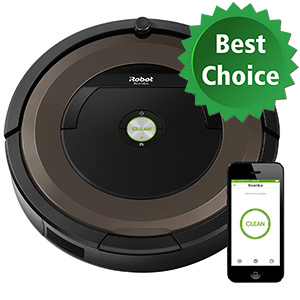 In as much as you may find cheaper options from ECOVACS, iLIFE and the likes, remember this is Roomba, the best vacuum robot brand in the market! The major shortcoming is the fact that it lacks Wi-Fi. Considering we are moving towards a Smart Home, most people would rather go for the 690 which has been built with Wi-Fi and voice control. In addition to this, the Roomba 650 has a rather poor navigation system, so if you have a high-traffic, it will get stuck a few times here and there. If you just want raw power minus the fancy features like Wi-Fi and voice control, the Roomba 650 will be a great and affordable purchase. I traded the Roomba 650 I had for the newer 690 for only one reason; Wi-Fi. By that time, this was the hottest technologies in the scene so, to stay ahead of the game I had to cough up a few hundred bucks for it. It is very similar to the predecessor, the Roomba 650, in terms of features. Regarding cleaning performance, there’s nothing new it offers compared to the Roomba 650. However, I must commend it for better suction power that ensures all the dirt and pet hair are vacuumed. Besides, this it has quite some good action on carpets. This makes it an all-round vacuum cleaner but still with a long way to go considering what the 900 series offers. I’d like to reckon its carpet cleaning as well as pick up of pet hair; it has better performance than the 650. The best thing about it is Wi-Fi and voice control. You can control your Roomba right from the Smartphone App or just tell Alexa what you want, and it will oblige. This feature makes the Roomba a great purchase or even a gift for those with mobility issues; you can clean the house without moving an inch. However, there are a few things I’d like to point out. First, this Roomba still gets stuck in high-traffic rooms. Second, it often switched to Spot cleaning on the dark spots of my carpet. I understand the Dirt Detect perceives these spots as dirt. The Roomba 690 comes with Wi-Fi and voice control, features the 650 lacks. However, in terms of performance, they are quite similar. For this piece, I would recommend it to anyone who wants the Smart features; otherwise, there’s nothing new. I find the Roomba 890 to be the best value for money. I have actually recommended it to several of my coworkers as well as family, and none of them has disappointed. This robot represents real value for money because it blends all the features the expensive 900 series has save for the new navigation system and a few add-ons here and there. The good thing is that you will get it at around half the Roomba 980’s price. 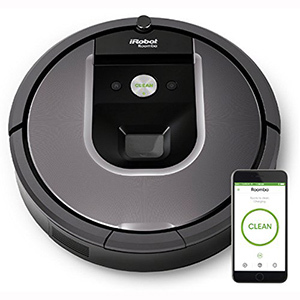 Released together with the Roomba 690, this robot brings on board a few new features that make it 50% more efficient in cleaning compared to normal vacs. Having used the 650 and 690, I can fully attest to the 890’s superiority. Just as expected, it offers floor, carpet and pet hair cleaning. On carpets, the Gen 2 motor delivers 5x more suction power that pulls the smallest dirt particles and dust that hides in carpets. On the other hand, the new tangle-free brush system greatly reduces hair tangling, a common problem with the 650 and 690. It also has the more advanced Dirt Detect series II and high-efficiency filters that filter 99% of allergens. There’s also Wi-Fi and voice control. With all these features, you will get it for less than $500. This is very affordable bearing in mind the 960 costs $700 while the 980 retails at $900. Even if you venture into other brands, an equal of the 890 would be the ECOVACS R95 or Botvac Connected, and they are all above $500. My only problem with this model is that it doesn’t have entire level cleaning. Yes, it will go to the Home base for a recharge but won’t resume cleaning. Being a top Roomba in the 800 series, this feature was long overdue. Fortunately, the 960 and 980 have this function. No second thought here, the Roomba 890 is the best value Roomba. If you are on a budget but you still want the fancy features and performance too, this is your match! 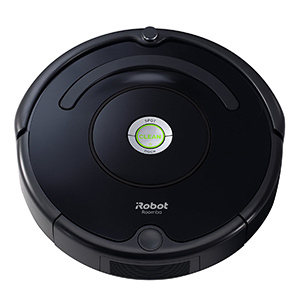 The 900 series is the epitome of the Roomba series but at very high prices. However, the lesser one, Roomba 960 is a clever choice. This is in light of the fact that it costs around $200 lesser than the 980, but of course with a price; it lacks Carpet Boost and has a shorter run time. What makes it still stand out is the fact that it has the envied iAdapt 2.0 with Local Visualization which is among the unique features the 900 series boasts. The most prominent feature of the 960 is the iAdapt 2.0 navigation system that uses a camera for real-time navigation. Unlike the 650 and the 690, it rarely got stuck in the same room these two were getting waylaid like thrice a week. I didn’t notice any much difference from the 890 in terms of cleaning performance. It is, however, worthy to mention that the Roomba 960 has entire level cleaning as it resumes cleaning after recharging. This makes it a great choice if you have large floors that have to be cleaned on a daily basis. If you have pets too, the 960 will be a great purchase. The 5X air power and high-efficiency filters work the magic. However, there are a few things I didn’t like apart from the high price tag. It has a runtime of around 75 minutes only. This is quite short for a $700 robot vacuum cleaner. Another thing, it offers average performance on carpets. So, if you have a carpet, just go for the 980 with Carpet Boost. If you are not ready to spend $900 on the Roomba 980, this robot will be a perfect landing place thereafter. You can opt to sacrifice Carpet Boost for the $200 extra and still get superior performance on other floors and pet hair. This is a big-time player in the industry and competes with other heavyweights like the Dyson 360 Eye. In as much as it is expensive, its performance is incomparable. It cleans all floors, carpets and even pet hair and dander. Besides, its navigation is superior, and so it is in terms of Smart connectivity. In one sentence, the Roomba 980 is a versatile vacuum cleaner. It has been built to tackle all the major household cleaning challenges that we face on a daily basis. First, it has been built to clean all floor types; tile, linoleum, vinyl and so on. One unique feature it brings on board is Carpet Boost. This mode is activated on carpets and rugs and delivers up to 10X more air power for maximum suctioning. When it comes to pet hair, it leaves none o the floor. It also reaches wall edges and under furniture – this is where most pet hair is blown. So, whether carpet or pet hair, this Roomba has got you covered. The navigation is also superior as well as its Smart features. Besides Smartphone App compatibility, it produces Clean Map reports and advanced cleaning settings. Its runtime is also impressive; at slightly over two hours, it will cover a good floor area before it goes to the charging base. Fortunately, it has resume capabilities, so you won’t be required to prompt it. The only issue I have with this vacuum cleaner is its price. $900 is quite a heavy price tag for a floor cleaner only. Besides, it should have at least some other cleaning options like mopping. If you want reliable performance, then this is your perfect purchase; versatile cleaning, superior navigation and Smart connectivity. However, you must be ready to meet the price tag. The Roomba 890 directly gets this slot for obvious reasons that point to value for money. Remember, this is the prime model of the 800 series that has some of the reliable Roombas like the 870 and 880. For me, I find it a cheaper alternative to the pricey Roomba 960 and 980. This vacuum cleaner packs the same cleaning system as the 900 series. It can handle all floor types, carpets, pet hair and even allergens. Even though it doesn’t have Carpet Boost like the 980, at least it has a more advanced motor that delivers 5x more air power that enhances deep carpet cleaning and pickup of pet hair. The navigation is quite advanced courtesy of some few tweaks and how it syncs with the CPU. Besides this, it is still Wi-Fi compatible and supports Alexa and Google Assistant. The best part about it is that it costs around $500 while the 980 costs $400 more. Having used the 890 for quite some time now, I can attest to its reliability and durability. Mine is still in great shape and cleans so well up to date. I know you must have come across a really cheap robot cleaner below the normal RRP such that you doubt the authenticity. Chances are high it is a refurbished Roomba. Refurbished Roombas are simply used and restored to ‘like new’ vacuum cleaners. In the recent times, a lot of manufacturers including Apple refurbish their products and sell them at a subsidized price. Even though most people fear buying refurbished products, they are not as bad as most myths suggest. Personally, I have owned a refurbished iPhone 6, a refurbished Roomba 880, and several other refurbished merchandise and none of them have disappointed me so far. Perhaps the best thing about a refurbished Roomba is the fact that it is very cheap. If you are on a budget and you still want that expensive cleaner, check out for deals on refurbished Roombas. The good thing is that most of them come with a 90-day warranty. Everyone agrees that Roombas are the best, but no one wants to focus on the details of what makes Roombas different from the other brands. You will agree with me that iRobot’s heavy investment in R & D is the sole reason for their success. In this section, we want to take the Roomba conversation to a deeper level where we will analyze the evolution of Roomba’s technology. Here, we will be looking at Roomba’s proprietary technologies; the likes of Carpet Boost, iAdapt, AeroForce and the rest. The cleaning performance is the most important aspect to consider when looking for any cleaner, robot vacuums are no exception. As far as cleaning performance is concerned, Roombas have two cleaning systems; AeroVac and AeroForce cleaning system. The older models have AeroVac whereas newer models come with AeroForce. So, what’s the difference between the two? Before we look at the difference between Aerovac vs. AeroForce, it’s imperative to note that these two cleaning systems have one thing in common; 3 cleaning stages. Regardless of whether it is a Roomba 614 or Roomba 891, the process remains, a 3-stage. However, the features that make up the entire cleaning system have greatly changed to suit the demanding floor cleaning needs. The brush system has greatly evolved, and that’s why Roombas give you two options; bristle brushes and rubber extractors. Roomba models with AeroVac cleaning systems use a bristle-brush design which does a great job only that they are not ideal for pet owners. The long hairs tangle it very often and jam the Roomba. Another thing, bristles are not so friendly to carpets and may damage light pile fabrics. Starting from the 800 Series, iRobot opted for a new brush design this time rubber extractors replacing the bristle brushes. One advantage of rubber extractors is that it is very effective and gentle on surfaces. Besides, the maintenance of a rubber extractor is cheaper than bristle brushes because the latter wears out fast. One of the best applications of robot vacuums is pet hair pick up, and that’s an area Roomba has been very keen on. Basically, Roomba, just like all other brands, has exploited HEPA filters but the difference is the grade of the HEPA filter. Aerovac Roombas have HEPA-style filters which are great for filtering allergens. These filters have an efficiency of around 85% to 90%. They do a great job, but still, there is a lot to be desired, especially if you have allergies. With the need for a cleaner and breathable atmosphere, especially in homes with pets, the newer Roomba models have true-HEPA filters. These are 99.97% efficient, and that’s why Roomba 800 and 900 Series are the best for pet owners. One of the unique features Roombas offer is Dirt Detect. As the name suggests, this is a feature that hunts for dirt and intensively cleans such areas. Roombas have two options available as far as dirt detection is concerned; Series I and Series II. Aerovac cleaning system has the original Dirt Detect which uses acoustic sensors to hunt for the dirt. Once it spots an area with dirt, it goes there and switches to Spot mode. But it is quite ineffective in detecting very small dirt particles. The old models, Roomba 650, 690 and the rest have Dirt Detect 1.0. With the advancement of technology, Roomba improved the technology, and now Dirt Detect 2.0 uses acoustic and optical sensors, the result is better detection of both small and large dirt particles. Roomba 890, 960 and 980 have this new technology. One of the fundamental features of a robot vacuum is the suction power. iRobot has invested in motor innovation and is among the few models that have a 3rd Generation motor. The old models have a 1st Generation motor which is ideal for hard floors only. These motors produce an average of 500 – 600 Pa. Most of the cheap robot vacuums have these motors because they are also affordable. However, if you want better performance, you need a 2nd Generation motor. At least here, the design is completely changed, from the old brush design to new brushless motor design. The suction power here ranges from 900 Pa – 1000 Pa. Some of the models with this technology include Roomba 890 and 960. If you are looking for the best performance, especially on heavy pile carpets, then consider getting a 3rd Generation motor. Only the Roomba 980 comes with a 3rd Generation motor, and that’s why it is the best of the best robot vacuums. One of the areas Roombas have dominated is the navigation. Today, Roombas are one of the few robot vacuums that will efficiently and accurately navigate crowded rooms. The debate here is around SLAM and VSLAM navigation. Simultaneous Localization and Mapping (SLAM) is what the old models have. This system uses a set of sensors to find its position in relation to the walls. It is also backed up by obstacle and drop sensors. Roomba 650, and 690, as well as the older models, have SLAM navigation. On the other hand, Visual Simultaneous Localization and Mapping (VSLAM) is more advanced in that it combines sensors and a camera. The sensors find the position of the robot in relation to the walls while the camera helps the robot know its position from the major landmarks like sofas, tables, and cabinets. The combination of both data makes VSLAM navigation the best option. Roomba 960 and 980 are the only robot vacuums with VSLAM navigation. For many first time buyers, shopping for a robot vacuum cleaner may be quite a challenge. Others just get excited and end up just buying any other Roomba without addressing the pertinent issues on what a particular Roomba offers. Fortunately, we have made things easier by compiling and addressing several important questions that you should answer to arrive at a Roomba that will address all your cleaning needs. So, before paying for any Roomba, make sure you answer the following questions. 1. What is your floor type and size? First, make sure you’re the Roomba you get will do a good job on the type of floor you have. The good thing about Roombas is that they have self-adjusting heads that adapt to the type of floor they are cleaning. However, performance still varies from one cleaner to the other. For example, the 650 and 690 work very well on hardwood, tile, linoleum and vinyl floors. However, they are not the best for carpets, not in terms of performance; it damages the fabric. When it comes to size, it all goes down to runtime. For how long can it run on a single charge? What area will it have covered? If you have an average floor area, say 2,000 sq. ft., the 650, 690 and 890 would certainly do the job if there are no many obstacles. They can run for 45 – 60 minutes which is enough to clean an average house on a single charge. On the other hand, the 900 series can handle larger rooms; the 960 has a runtime of 75 minutes while the 980 can do 120 minutes. However, in as much as battery runtime is a real concern, the verdict rests on what happens after recharging. All the Roombas have self-recharging, a feature that sends it back to Home base whenever the battery power goes down beyond certain limits. However, the 900 series has a new feature that is called resume function. Once the Roomba recharges, it will go back to finish cleaning from where it left. This makes the 960 and 980 best for large houses. If you have an average-sized floor, the Roomba 650, 690 and 890 would just be fine. The only problem will be if it starts cleaning on low battery, the recharge time is very long. For large floors, I would settle for the 960; the 75 minutes runtime is quite enough, and most importantly, it will resume cleaning immediately it gets charged. Even though the 980 seems to be the best option for large floors, I wouldn’t pay $200 more just for an extra 45 minutes. 2. Do you have a carpet? For those who have carpet floors, make sure you get the right Roomba for the job. A good vacuum cleaner for carpets should have high suction power to ensure it reaches in the deepest parts of the carpet fabric where most dirt hides. Besides this, the brushes should be very gentle on the fabric. The Roomba 650 and 690 have all been designed for carpet cleaning. If you have Saxon cut pile, textured cut pile, or uncut carpet pile, these two would be great as dirt doesn’t go deep in these carpets. Unfortunately, the 890 and 960 overshadow their performance courtesy of the 5x more air power that boosts vacuuming. But it’s the 980 that takes the crown of the best Roomba for carpets courtesy of the Carpet Boost mode that solely targets carpets. The hardest carpets to clean are the polypropylene carpets, polyester, and wool. The 980 cleans all of them with ease with the 10x more air power. Also, note that the ground clearance of the carpet matters. Those with rugs understand what I mean here. If it’s too high, you will have some problem with transitioning. The 650, in particular, has problems climbing rugs because it perceives the edges as obstacles. The 690, on the other hand, will go over it but with a bit of a hassle. On the other hand, the 890, and 900 series have no problem with rugs. The best Vac for carpets is the Roomba 980, but at $900, it is quite expensive. If you have a carpeted floor and you don’t want to spend much, we recommend the Roomba 890; it offers great performance on carpets and retails at less than $500. 3. Do you keep pets? Many homes have pets and cleaning their pet hair and dander is the biggest worry. The good thing is that pet hair and dander is among the messes Roombas handle, but not all of them. So, if you heard somewhere that Roombas offer excellent pet hair cleaning, make sure you get the right Roomba for pet hair, not just any other Roomba. Just like in carpet cleaning, suction power is among the major dynamics here. For this reason, the 600 series will definitely not be the best even though they clean pet messes. The 890 and 960 take center stage here because unlike carpets, the 5x more air power is just enough for sucking hair and fur. You don’t need the 10x the 980 has; it’s just a waste. Remember, these are not the only Roombas for pet hair, here’s a full review of the best pet hair Roombas. Another important consideration here would be the type of brush used. Personally, I discredit the 650 and 690 when it comes to pet hair cleaning for a sole reason; tangling. Time and again, I had to clean the brushes to remove tangled hairs. The good thing about the 890 and 900 series is that they are tangle-free. Here, it’s no doubt that the 890 carries the day. It has the perfect suction power for pet hair, and the brushes are tangle free. Of importance is the price. It retails at just under $500 while the 960 and 980 retail at $700 and $900 respectively. 4. How is the traffic in your rooms? Do you have a lot of furniture in the living room? Are there any obstacles on the paths? What’s the average ground clearance of most furniture? How are the doorways designed? Are there areas where you don’t want the robot to reach? These are some of the questions you need to clearly sort out to get the best Roomba that won’t keep getting stuck now and then. It is imperative to note that even though Roombas may have the same navigation system, accuracy and precision greatly varies. iRobot has so far developed two navigation systems for the Roomba series; iAdapt 1.0 and iAdapt 2.0. All the models, save for the 900 series have this navigation system. However, after testing several cleaners all the way from the 400 series to the 800 series, I reckon the difference in performance. If you have a room with average traffic, iAdapt 1.0 will just be fine. The iRobot 650 and 690 can avoid obstacles and falls but get stuck at times. We recommend that just before it starts cleaning, at least remove some clutter on floors to make its work easier. I also have to mention certain flaws with these two vacs on carpets with dark spots and walls. It tends to mistake these spots for dirt or obstacles. This is because they use acoustic sensors only unlike Dirt Detect II that combines acoustic and optical sensors. They also hit walls leaving dark marks on them, especially white walls. When it comes to the 890, I noticed some difference in accuracy right in the same house and layout we tested the 650 and 690. While the 600 got stuck like 3 times in a week, the 890 only got stuck once. The 890 also slowed down rapidly when about to hit the wall. Even though there will be some contact, it won’t be substantial enough to leave marks on the wall. On the other hand, the 900 series has a more advanced navigation system, iAdapt 2.0 with Local Visualization. Besides the sensors, there is a camera on the top of the interface inclined at around 45 degrees. It takes images of common landmarks and processes them for a more refined grasp of how your house is. We tested both the 960 and 980 in the same room as the rest of the cleaners, and their performance was exceptional. At no time did we find either of them stuck. If you want a stress-free Roomba that won’t get stuck, the 900 series is what you want. Personally, I would recommend the Roomba 960 as it costs lesser by around $200. But if you are on such a tight budget, you also won’t go wrong with the 890 that retails at half of what the 980 sells at. 5. Are you keen on a Smart Home? With the advancement of Smart technology, everyone is more inclined to make their homes Smart with the use of Smart appliances, robot vacuum cleaners included. Roombas come with several Smart features, but remember, not all Roombas. If you want a Smart robot, go for the 690, 890 and 900 series. These are the only vacs in our review that have Wi-Fi and consequently, voice control. The Roomba 690 and 890 have Wi-Fi and support Alexa and Google Assistant. On the other hand, the 900 series offers more than this. The 960 has Clean Map reports that show you where the Roomba has cleaned while the 980 has Clean Maps and additional cleaning settings. In terms of Smart connectivity, yes the iRobot 980 carries the day as it has more features. However, most of its owners barely use these extras. With this regard, I would recommend the Roomba 890 because it has all the Smart features you need and costs much lesser. What happens if your Roomba is delivered with a defect? What happens if it breaks down for reasons you can’t understand? Be sure of the warranty terms, what it covers and most importantly, for how long. iRobot is a top brand so you shouldn’t worry much about aftersales service. The standard warranty is 1 year for the robot and 6 months for the battery with a new purchase. This warranty is quite important especially with batteries. There is a high chance of receiving a Roomba with a DOA battery that the robot itself. On the other hand, with refurbished Roombas, you get anything between a month and 90 days depending on the seller. However, what I don’t like is the fact that you will need to incur the costs of sending it back for repair. All the new Roombas comes with a standard 1-year warranty on robots and 6 months on batteries. However, refurbished ones have a 3 months warranty. For this reason, we recommend new Roombas because of the longer warranty period. If on a budget, however, don’t shy away from a refurbished Roomba, the chances are slim that it will have a problem. 7. What times do you clean? This is another important question to ask yourself before buying any Roomba. This is specifically in relation to the noise it emits when working. While there are low noise-operation Roombas, other are very loud and won’t be the best if you like cleaning your house at night. If you clean your house after retiring to bed or you treasure your calm, then you should consider the noise the Roomba will emit when working. If you want something quiet, the Roomba 650 is what you should go for. In as much as it lacks fancy features, it has a powerful motor that delivers raw power with minimal noise. If you want Wi-Fi, I’d recommend the Roomba 890 because, at 55dB, it is quite silent compared to the 980 that hits over 60dB when in Carpet Boost. If noise is a real bother to you, get the Roomba 650. It emits less than 52dB which is among the quietest vacuum cleaners in the market. There’s one mistake a lot of shoppers make, failing to set their budget. Just like any other category, Roombas greatly vary in prices. From $300 to $900, you can get yourself one of these little helpers. Before setting out for shopping, set a budget, for example, $500. Stick to this budget to avoid overspending. Personally, I wouldn’t say there’s little money; there’s something for everyone. 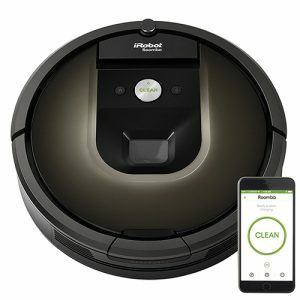 With $500, I would get the Roomba 890 considering it offers the same performance as the 900 series save for the new navigation system. With $300, I would still get a good refurbished Roomba 650 and remain with some change. If I’m looking for performance and a little of the fancy stuff, I won’t settle for anything lesser than the 9809, but then, it would set me back a whopping $900. Please note that these prices fluctuate and many are times when you can find deals and discounts. For example, the Roomba 890 once sold at around $300 during Black Friday while the 960 dropped up to $550. Make sure you sign up for our instant deals alerts! If you are looking for a cheap or high-end Roomba, you know what to go for. 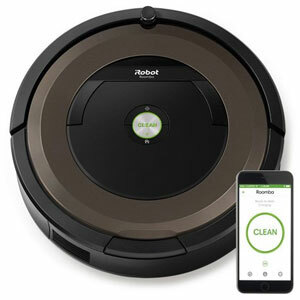 However, in terms of value for money, we highly recommend the Roomba 890.
iRobot has already dominated the robot vacuum cleaners market and is expected to keep up the pace with more interesting technologies. So far so good, they have impressed with the Roomba series. This is it leads the conversation when it comes to robot vacuum cleaners. 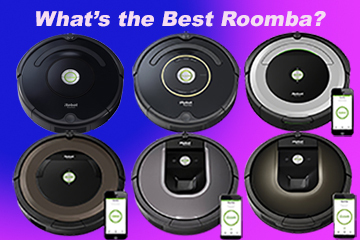 So, if you were looking for a good Roomba, set your budget and get any of the above Roombas and you won’t regret!